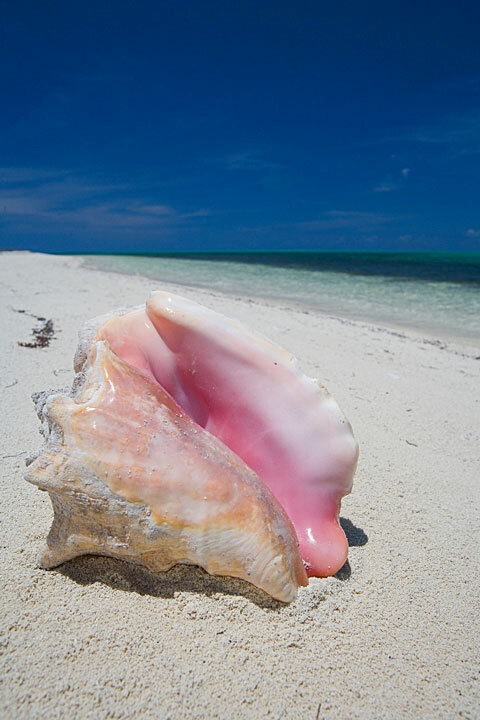 The archipelago of The Bahamas is made up of over 700 islands and 2000 cays. They lie in the North Atlantic Ocean, about 50 miles off the Florida coast; they extend about 500 miles southeast toward the Caribbean Sea. The islands are generally divided up as Paradise Island & New Providence Island, Grand Bahama Island, and the Out Islands or "Family Islands." The Nassau and Freeport vacation destinations are centers of government and commerce as well. CBC News. Tuesday, 16 Apr 2019 12:17:02 EDT. By Bill Springer, Contributor. Forbes. Sunday, 31 Mar 2019 23:06:00 -0400. The sea has always played a major part in Bahamian life. When Spanish explorers came by sea, they found an island nation inhabited by the Lucayan Indians, a peaceful tribe of fishermen. The Spanish, however, took these Indians as slaves to work in their gold mines, where they gradually died off. The islands were essentially abandoned at that point except for an occasional ship, until the British arrived during the mid-1600s. Over the course of centuries, many ships have been wrecked on hidden treacherous reefs in The Bahamas. The Puritans settled Eleuthera Island, but on this coral island with very little topsoil, farming was not really feasible. Puritans and others later settled on New Providence Island, where soil and harbor conditions were better. This island became home to some farmers and merchants, but many disreputable residents settled there as well, whose methods of survival were less than honest. Sabotaging and plundering wrecked ships became a primary source of income, and Nassau's fine harbor on New Providence island descended into a haven for pirates. Bahamians were actively trading with the Americans until the Revolutionary War era. At that time, British loyalists fled south to settle the islands, bringing their slaves with them to work cotton plantations. In 1833, when slavery was abolished in the British empire, the islands became home for these free men. The Bahamas finally became a new nation in 1973, after 250 years as a British colony. Today, tourism is the leading industry in The Bahamas, and the islands are a tourist destination for many Americans, with the sea once again playing a part. Beaches washed by clear water, secluded and private, offer places to swim and sunbathe. Shipwrecks attract divers and snorkelers, and the island waters have coral reefs and colorful fish to discover. Boating is a popular way to explore the islands, and fishing provides the fresh fish and conch that are cooked into many local specialties. Of course, duty-free shopping is available in Nassau and Freeport for visitors and the many cruise ship passengers who stop at these destinations. Use the map menu below to display interactive maps of The Bahamas, either in a frame on this page or in full-screen mode. Nassau, the capital and commercial hub of The Bahamas, is located on New Providence Island and neighboring Paradise Island. The old part of the city, situated on New Providence Island's sheltered harbor, is home to public government buildings, museums, and churches. 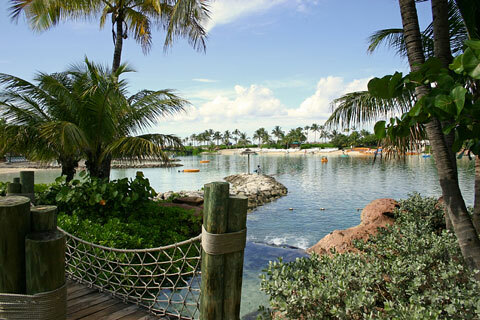 Paradise Island, across the bridge from the old city, has become a vacation center, with hotels, resorts, and beaches that attract visitors year round. New Providence island itself features many examples of old world colonial architecture alongside its modern office buildings and subdivisions. The island's north coast has flat hills. Pine barren forests cover the western part of the island, while the east and south coasts are rocky. 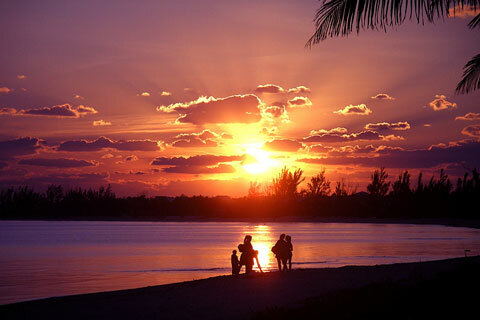 Freeport, on Grand Bahama Island, has been developed into a major resort area. Lucaya Beach, with its luxury hotels and resorts, casinos, and nightlife, is located here. Freeport is a popular destination for many cruise ships, which bring visitors over from Florida for a day of sightseeing and shopping. 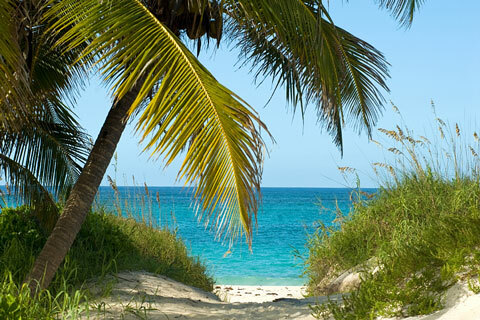 Grand Bahama Island's pristine beaches, underwater caves, and historic fishing villages attract tourists as well. The Bahamas Government - official government site. The Islands of the Bahamas - official tourism site. Frommers - Bahamas - online travel guide.